There are no shortcuts to sourcing great coffee. The journey we embarked on years ago, and continue to this day, cant be rushed. Their expertise  earned over decades of roasting remarkable coffee  ensures the quality and character of our blend is consistent, all year round. 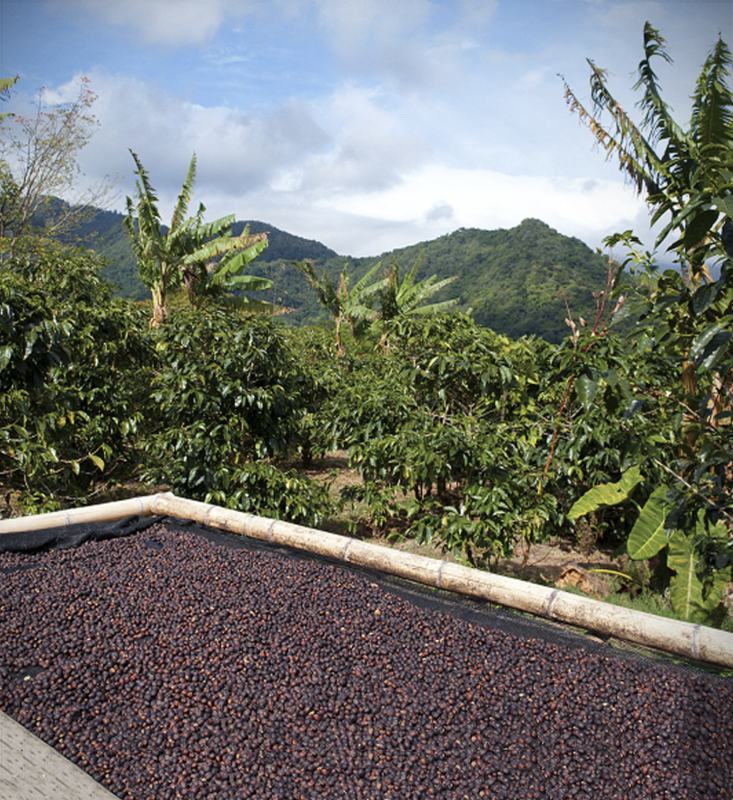 After being washed, parchment coffee is left to be dried in the sun. A month and a half after sowing, the coffee plant begins to emerge. A view over Jaen, Peru: a beautiful, coffee-growing region. Cupping with the quality team in Bangalore. These young Peruvian coffee plants are doing well at six months. A glut of ripe coffee cherries, ready to be picked. Colombian farmers preparing to sell their green coffee harvest. Up close with the team and the coffee crops at origin. Parchment coffee on a most colourful journey from our partners in India. Spending time with the friendly team at Jaen, Peru.